There are some incredible, natural wonders that can be found all over our great country, but the nation is so large we often miss out on some awesome sights. I have traveled a lot throughout the country, but I had never seen nor heard about the natural pools created from a variety of geological phenomenon. 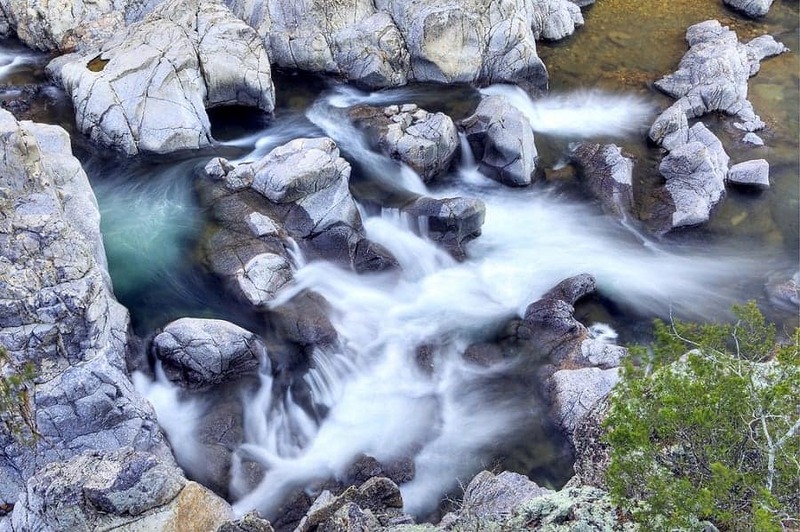 Here are six awesome natural pools that you can find right here in the states. They might just inspire a road trip! 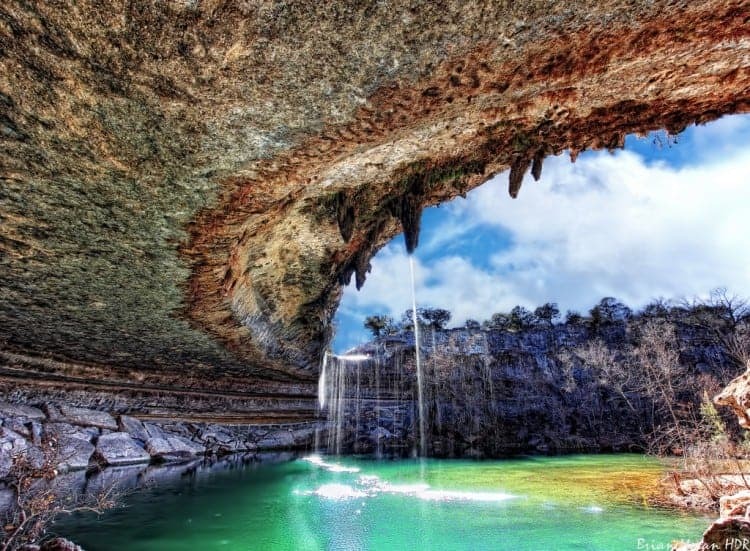 Dripping Springs, TX – This pool is found deep within a canyon and requires a nice hike to the location. Hamilton creek plummets 50 feet over the limestone outcropping of the lake and creates a beautiful waterfall. The pool was formed from water erosion that slowly carved out the canyon and collapsed grotto over thousands of years. This pool was designated as a preserve in 1990, and its beauty attracts visitors from all over to take a swim. Supai, AZ – Located in the Grand Canyon, the intricate geological layers create a colorful stairway which leads from the canyon’s rims down to the Colorado River. In the canyon, Havasu Creek flows down to the village of Supai where it cascades over cliffs and creates the Havasupai Falls which can be translated to “the people of the blue-green waters”. These waters are colored by centuries underground in limestone caverns, and some experts believe the water has spent as much as 30,000 years underground. 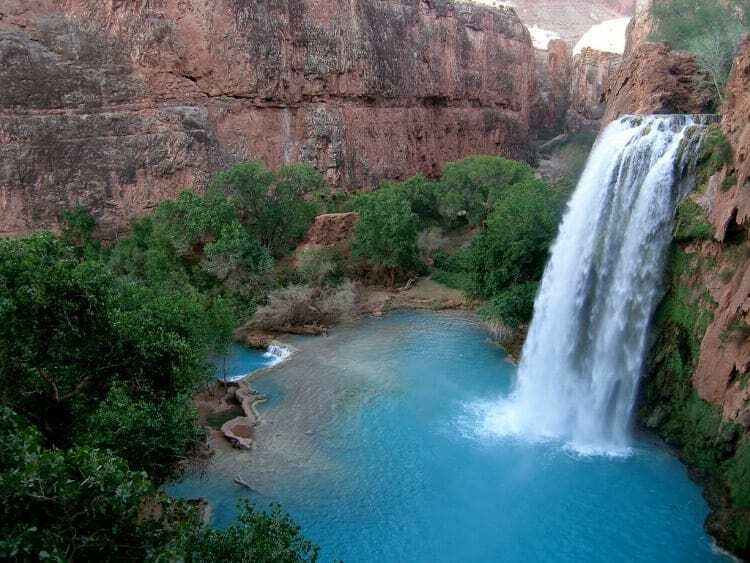 The beautiful turquoise ribbons of water continue to cascade and wind through the canyon until it flows over Havasu Falls, and creates a stunning pool at the bottom. 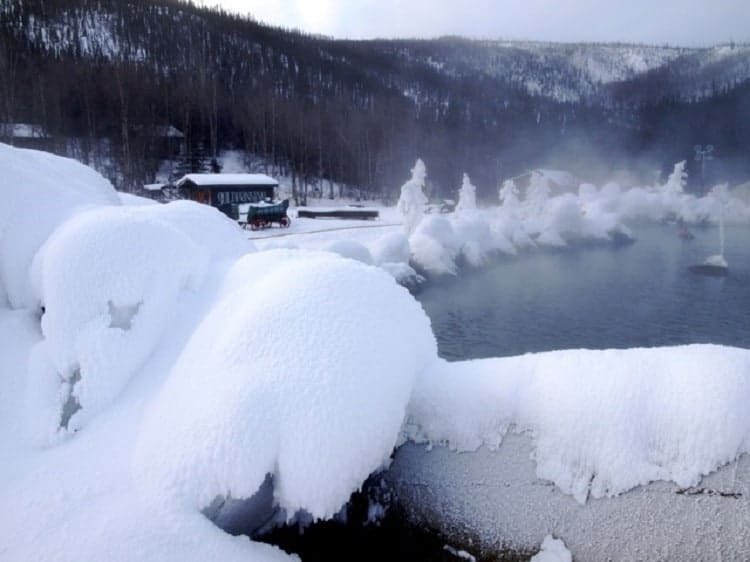 Fairbanks, AK – Discovered by two brothers back in 1905, these hot springs were a destination thought to have healing and medicinal effects. 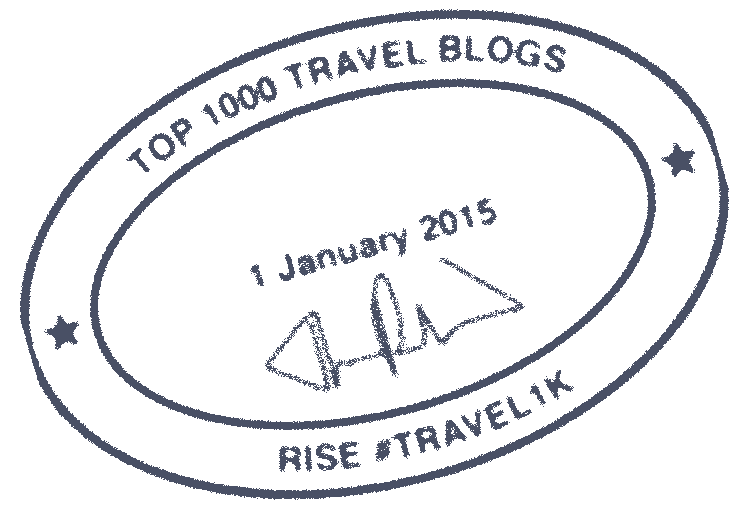 After their discovery, the location quickly turned into a major destination for travelers featuring a bathhouse, cabins, as well as a stable. Through the decades, it has grown into a beautiful private resort with plenty of hiking, canoeing, and fishing in addition to the rejuvenating hot springs. 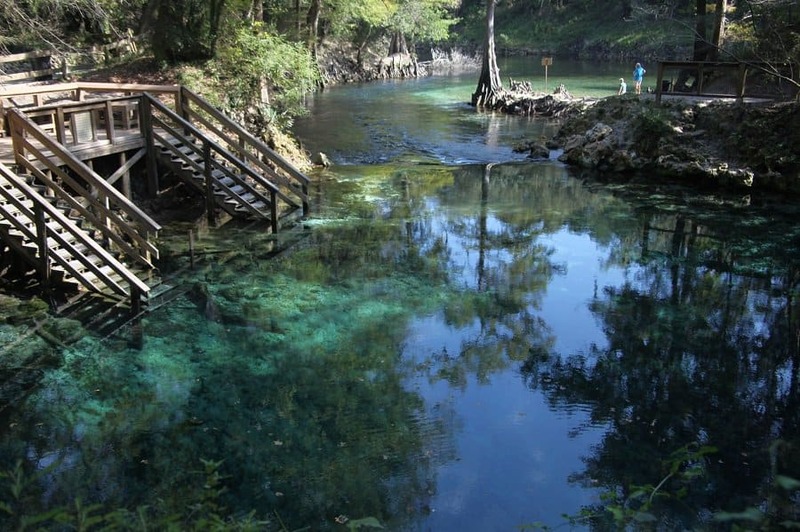 Lee, FL – On the west bank of the Withlacoochee River, the Madison Blue Springs are crystal clear waters perfect for a refreshing swim. The spring sits in a limestone basin creating the aqua marine hue of the water, and the area is surrounded by green forests full of wildlife. 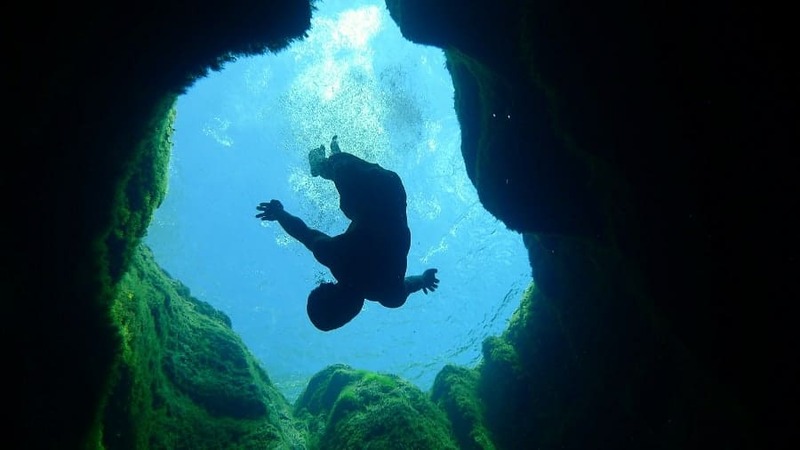 Wimberley, TX – 140 feet below the surface the Trinity aquifer provides the waters of Jacob’s Well, an artesian spring. Pressure on the groundwater has forced it to the surface causing the spring known as Jacob’s well. However, the most unique feature of this spring is the 12 foot opening below the surface of the blue waters. The opening leads to an intricate system of caves deep below ground level. It is thought to be the longest underwater cave in Texas. This spring and cave system is a popular swimming hole for locals and visitors especially on a hot Texas day. It is an interesting natural wonder that is a must see if you are in the area. Reynolds County, MO – In the breathtaking Ozark Mountains, the Black River flows to an area known as the shut ins where massive volcanic rocks impede the river flow and cause small pools of water to collect. Visit Johnson’s Shut Ins State Park and take a relaxing dip in one of the many pools swirling and bubbling among the ancient volcanic rocks. How gorgeous! I want to go visit each and everyone on your list! These are all really beautiful! I think I need to add each of them to my bucket list.